I get a lot of e-mails with action links that want me to leer more. 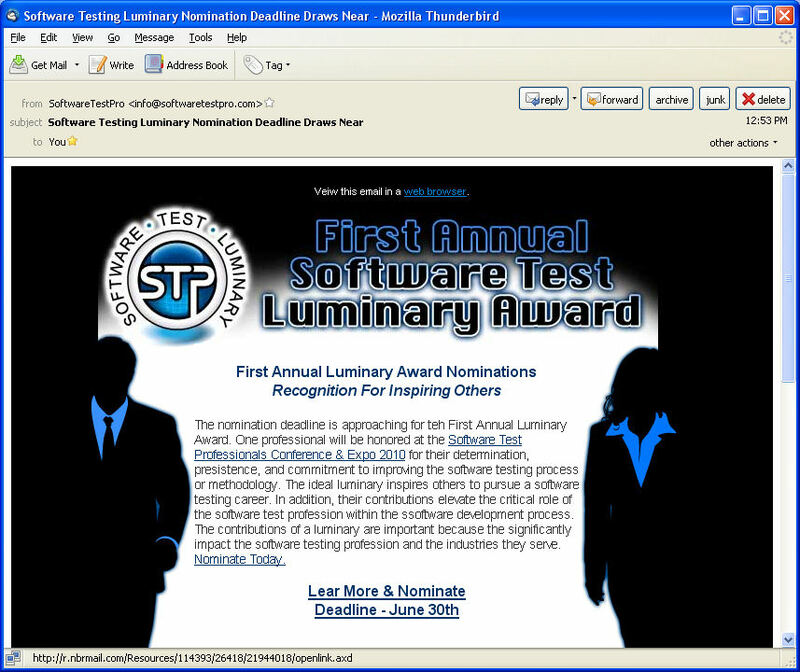 And, hey, while you’re at it, click on over and nominate me for a software testing professional luminary. I like to light fires, so I illuminate a lot. Indirectly. This entry was posted on Friday, June 18th, 2010 at 2:15 pm by The Director	and is filed under Typo. You can follow any responses to this entry through the RSS 2.0 feed. Both comments and pings are currently closed.